(Inside Science) -- When referees miss a call in the World Cup, it lives with the teams and their fans for decades. England can point to the 1986 quarterfinal against Argentina, when Diego Maradona allegedly directed a ball into the net with his left fist, or their apparent 2010 goal against Germany that wasn’t awarded in a knockout round game. For this year's World Cup in Russia, FIFA, the international federation that runs the tournament, has introduced two technological fixes that, it believes, will render disputes over goals and other calls almost impossible. The technology is also likely to improve players’ behavior on the field. That’s because it will monitor the action beyond the ken of refereeing crews. However, officials emphasize that they do not intend to second-guess referees on the field. A 7-camera automated goal-line monitoring system informs referees instantly whether or not a ball fully crossed the goal-line, which the rules of soccer demand for awarding a goal. And video assistant referees, or VARs, who watch feeds from more than 30 cameras from all angles around the field, will check whether the build-up to the apparent goal involved any incidents that should negate the score. Goal-line technology was first used in the World Cup four years ago in Brazil. This year's event will feature a system of high-speed cameras placed in each goalmouth, developed by the Basingstoke, England-based Hawk-Eye Innovations, able to track the ball's exact position throughout the game. Linked by software, the cameras work in concert to determine when the ball completely crosses the line between the goalposts. When it does, said FIFA official Giovanni Marti, “the referee will receive a signal on his watch.” At that point he will award the goal. VARs, meanwhile, will make their World Cup debut this week. 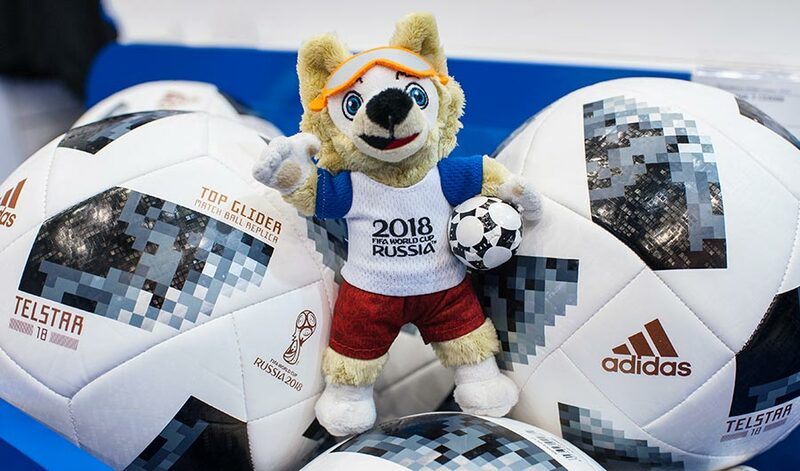 They will be based in Moscow and receive feeds from the camera clusters in each of the 12 stadiums hosting the matches via a fiber-optic network. They will help with calling goals, but also keep tabs on potentially unsportsmanlike happenings on the entire field that on-field referees might miss. The system couples Hawk-Eye Innovations video with audio support from Bath, England-based Crescent Comms Ltd. Eight of the system's 33 cameras are super slow-motion and four ultra slow-motion. One extra camera at each end will be used to determine whether or not attacking players are offside. Each VAR team maintains constant contact with the match referee, who can ask for advice or accept a recommendation that an incident should be reviewed. As they monitor the game, the VARs check for obvious errors by the on-field referee in four potential game-changing situations: goals, penalty kicks, straight red cards, and cases of mistaken identity in the award of red or yellow cards. Why such a restricted list of situations? Any review will stop the game until the situation is resolved. Authorities want to minimize delays in a sport whose clock runs continuously without official time-outs. In the cases of potential goals, penalty kicks, and red cards, the VAR teams quickly review the course of play that led up to the situation to check for any obvious error by the referee. If, for example, they see that a player strayed offside or committed a foul, or the ball went into touch during the build-up, they would recommend that the referee rescind the goal, penalty, or red card. The referee can decide to accept or reject the VAR team’s advice immediately. More likely, though, if the referee agrees with the VAR team's recommendation that the situation deserves a further look, or if he suspects a problem unmentioned by the VAR, he’ll put his hand to his ear, thus signaling an official stoppage of play, and then make a rectangular, screen-style shape with his hands. The referee then goes to a monitor in a dedicated area on the sideline to study video footage chosen, and commented on, by the VAR. That study will determine his decision. The process supports the traditional continuity of play by ensuring that the clock is not rewound, Say, for example, that the VAR alerts the referee to a potential red card incident following a subsequent natural stoppage of play. Whether or not the review results in a red card, the referee would restart the game from that spot -- and at the time of -- the natural stoppage. Whatever the circumstances of the review, the on-field referee has the final say. The VAR "supports the referee in the decision-making process,” the FIFA website states. Soccer officials believe the VAR system will do more than ensure more accurate calls in key match situations. Players will realize that they’re always under surveillance. “I think we are going to see a big reduction in things like diving and play-acting because the players will know they can be punished, not just after the game, but during it,” former British referee Keith Hackett wrote in The Telegraph. “VARification” technology has a few potential problems. A recent study by Jochim Spitz, Pieter Moors, and colleagues at the University of Leuven in Belgium suggests that referees watching replays in slow motion give more red cards than those watching incidents live. “It only rarely occurred that an initial red card decision was overturned [on post-game review] and became no card or a yellow card,” Spitz explained. Additional concerns include the potential delays that VAR reviews can cause and the possibility that the technology can malfunction. Early this year, the VAR failed to recognize an offside incident that should have negated the winning goal in an Australian championship final because appropriate broadcast angles weren’t available.